Method Man planned to drop The Meth Lab as a mixtape earlier this year, but with the delay we will now get a proper LP at the end of August (the previous plan was to release the mixtape to promote the LP Crystal Meth). 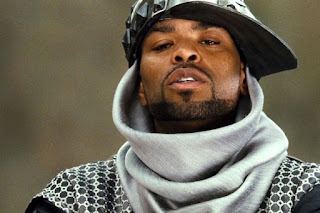 No word on if The Meth Lab will replace Crystal Meth, but what we do know is that we will at least got some new Method Man at the end of the summer. This week Meth dropped some bars over the Harry Fraud instrumental, 88 Coupes. The original French Montana track features Jadakiss over another banger from the NY producer. French delivers an adequate verse (that's probably the best compliment I can give dude), but the track goes into another realm when Jada drops his lyrics. Harry Fraud delivers another smooth top shelf instrumental that requires top shelf emcees to compliment it best. I would have loved to hear a Meth/Jada team up. But at least you can hear Meth do his thing on the track and go back to Jada's verse on the French track. Peep Meth track and original below. As well as trailer for The Meth Lab.